Kansas City artist and musician Allan Winkler may be best known for his ceramics, murals and cut-outs, but his boundless creativity spills out in many forms. 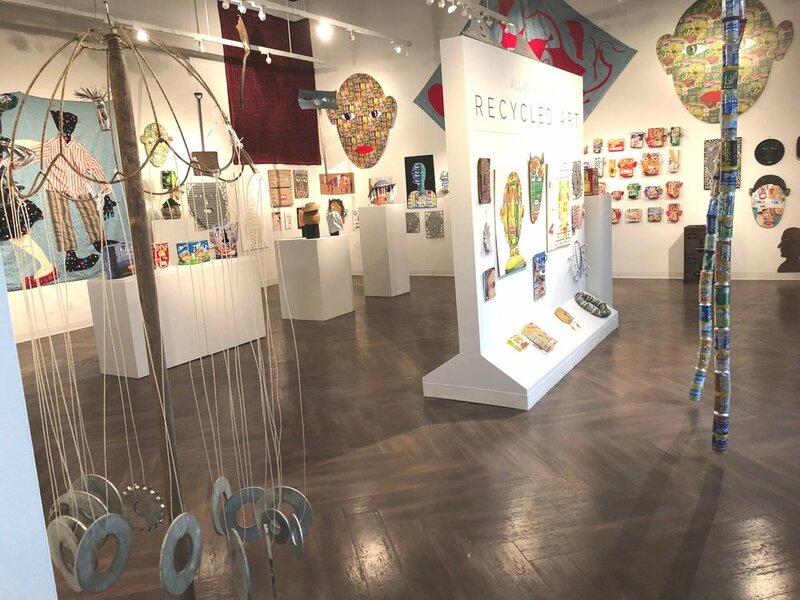 This exhibit focuses on work created from found and discarded materials recycled in unexpected ways. At first, his technique and materials appear unsophisticated, but Winkler’s talent for transforming our everyday world into something magical skillfully sparks the imagination and spirit. The exhibit runs Friday, February 1st through February 22, 2019. Allan Winkler creates art with materials that are usually discarded to a landfill. Winkler reveals a hidden beauty in cardboard boxes, beer cans, household objects, metal pipes and old clothes, then injects new life. He finds joy in the challenge of transforming found materials, an inexpensive way to continuously express and share his creativity. Without a heavy handed environmental message – Winkler’s art cleverly engages the viewer to think about our consumer culture by encouraging us to see the world through his imagination. Kansas City based artist and musician Allan Winkler is well known in local art circles. Born in Chicago in 1953, he attended the Chicago Art Institute and the Kansas City Art Institute where he earned a degree in Ceramics. His work has been exhibited around the country in many solo and group gallery exhibitions including a solo show at the Kansas City Jewish Museum in 2009. Best known for his metal and paper cutouts, ceramic work and murals, Winkler also creates art and instruments with found objects. 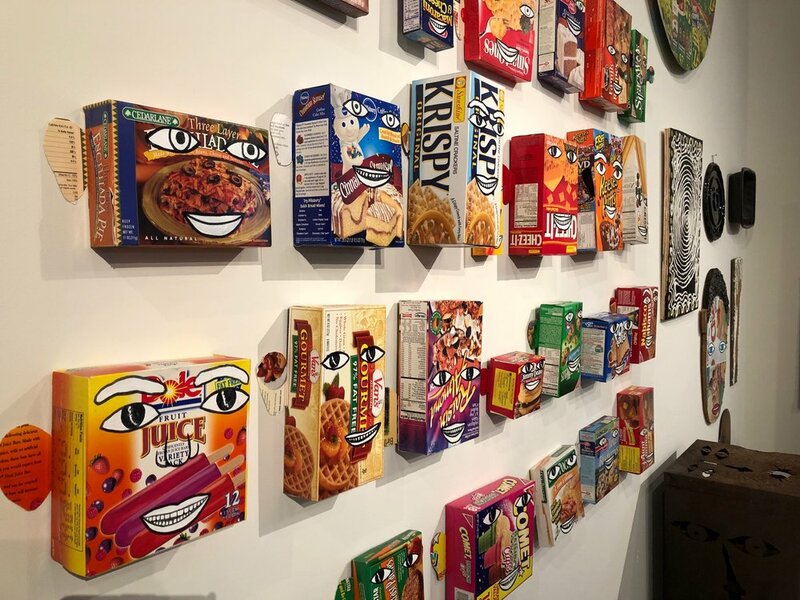 The Box Gallery is 830 square feet of space designed for exhibitions by local artists, collectors, arts organizations, universities and businesses. Underwritten by Commerce Bank, the gallery’s mission is to serve a Downtown audience of residents, workers and visitors, with creative cultural art and history exhibitions that will enliven, enlighten and engage. The gallery is always free and open to the public Monday-Friday 8:00am- 8:00pm. Free parking validation is available at the security office.